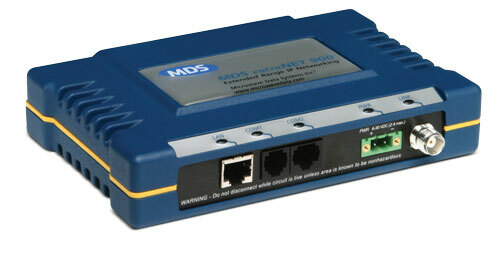 The MDS RCL Series, based on the MDS entraNET 220 Remote Control Locomotive Communications system is used in portable controllers, on-board locomotives, and at yard infrastructure sites to provide extremely robust and reliable operation. Our system implements application-specific messaging between Operator Control Units and Locomotive Control Units to permit 30 or more remote control locomotives to operate in a yard. We helped write the AAR standard and our communications system has a patented media access control layer. We support the largest freight railroads in the U.S. on 220 MHz. For 450 MHz options, please contact us. Industry standard communications interoperating with major RCL system vendors. Benefits from years of application-specific optimization.